Put April, May and June together and what have you got? Aprilmayjune. In no time the school year will come to an end. Stress levels are high. Patience is wearing thin. And all the while, for various reasons, many of us, myself included, are wishing the days away. I often catch myself thinking about the future: summer plans, the next school year, completing my graduate diploma (I’m only one semester in!) But lately, I’ve been working on being more present and have started exploring meditation as you’ll see below. A good friend and colleague mentioned a 21-day Meditation Experience that she had done in the past. As luck would have it, a new 21-day program had just started so I downloaded the app. In the past I was super skeptical of meditation. Afterall, I was the person who had to stifle laughter the first few times I went to yoga when I was expected to sit there silently. Anyway, I figured it wouldn’t hurt to give it a try. Each day there is a new centering thought, Sanskrit mantra and message. 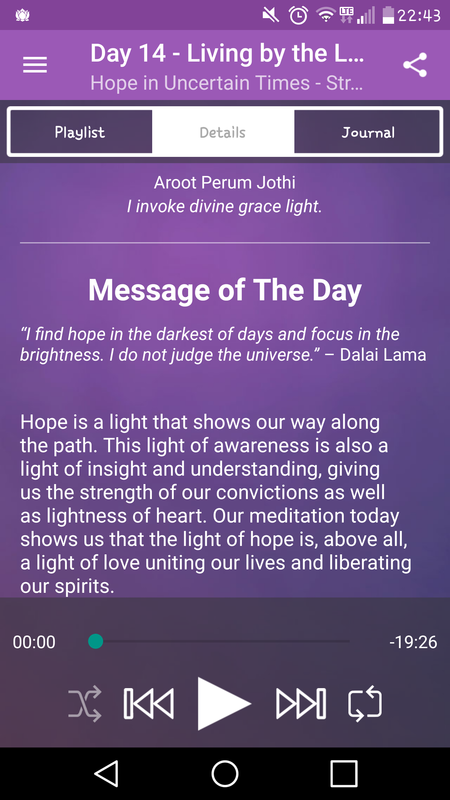 Oprah and Deepak speak about the daily topic and then the meditation begins. I was presently surprised to find it so relaxing. I was able, if only for a short period of time, to take my mind off of work and life stresses. I admit I’m a few days behind but it’s something I believe I will continue with. Visit https://chopracentermeditation.com for more info! Another good friend and colleague mentioned Guided Meditation by donation at a local yoga studio so a few of us decided to check it out. I’ve been twice and both weeks were different. The first week included a 30 minute meditation…yikes! I didn’t think I would be able to do it for that long but I surprised myself. It really didn’t seem like that long. The second week was different; we did concentration exercises (counting breaths) and a 10 minute meditation. Both were great and this has become part of my Thursday night. I think meditation helps me to remember to live in the moment. To focus on what’s happening in the present. Today is a gift. I need to let go of my current worries and anxieties about the future. I shouldn’t be counting the minutes until the end of the day or counting the days until summer. Life is precious. Live every day like it’s your last; one day it will be.